Schedule your Lincoln service today! As one of the first luxury brands in America, Lincoln has a long history of automotive excellence. Inspired by former president Abraham Lincoln, the brand is proud to bring stylish luxury cars to the market, without skimping on amenities and technology. But driving a luxury vehicle does not have to come with a luxury price tag. 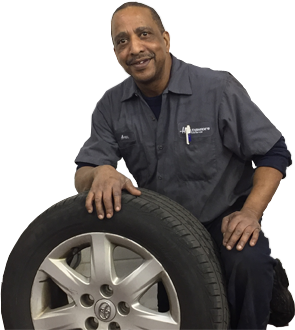 Our auto repair shop in Towson, Maryland is an excellent alternative to other service centers. Trust our master technicians and ASE-certified mechanics to provide an accurate diagnosis using the proper tools and equipment. Cooling systems exist to keep your engine functioning at the desired operating temperature. And damage to your radiator or cooling system could lead to excessive fuel consumption and emissions. Stop by our auto repair facility in Towson, Maryland for cooling system diagnosis and repairs. Our technicians test the condition of your coolant and replace it with a new one. Stay confident and keep your Lincoln running cool and safe, all year long. A car that fails to start is an inconvenience. But a malfunctioning brake poses serious risks to you and your passengers. If you suspect a problem with your brakes, our auto professionals will recommend the necessary brake repairs to get your car stopping safely, every time. Take your Lincoln to Hollenshade’s Auto Service, and we will replace your brake pads and rotors with factory OEM parts. Your car contains onboard diagnostic equipment that communicates with your engine’s electronic sensors. And they let you know when your engine needs maintenance or repairs; you may notice that when your Check Engine Light comes on. Our engine diagnostic check quickly narrows down your engine’s problems. Schedule a Lincoln engine repair and maintenance service in Towson, Maryland. Our team also makes recommendations on how you can address engine issues. If your ride starts to get bumpy, it could point to a problem with your car’s steering and suspension systems. Get a good handle on steering and suspension repair with help from our ASE-certified technicians. We do suspension and steering inspections and diagnose the source of the issue. Leave the work to us, and we’ll ensure a smooth ride. Get back on the road safely with our repair and maintenance services in Towson, Maryland. Call us today to schedule an appointment.